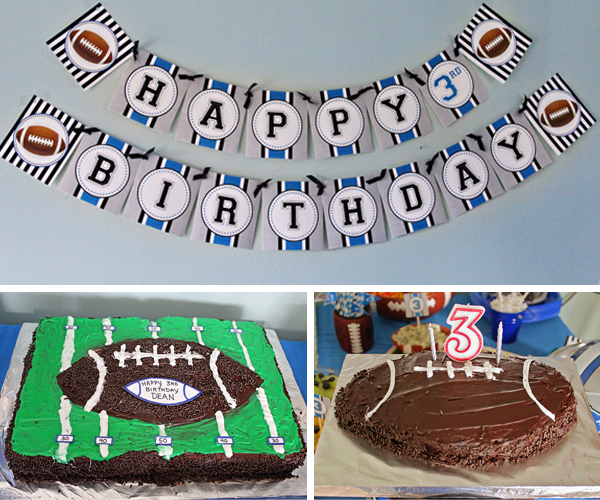 My brother-in-law and sister are huge football fans so it was no surprise that they requested a football themed party for my nephew’s 3rd birthday. 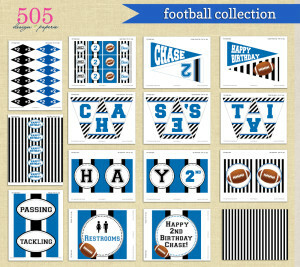 His birthday falls right around the start of football season so they set the date for opening day. 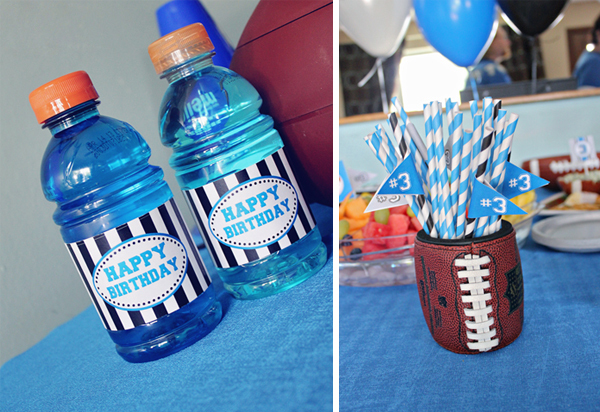 Blue Gator aid with drink labels and matching striped paper straws. 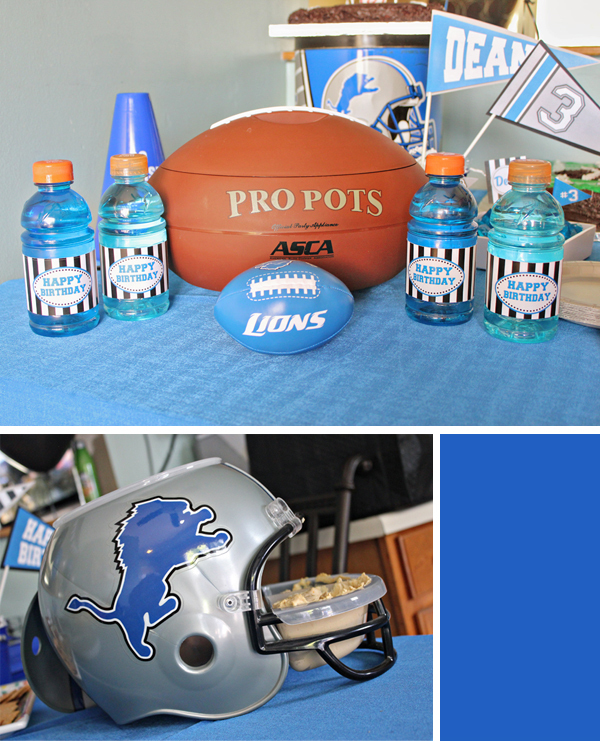 Football slow cooker and helmet chip and dip bowl. 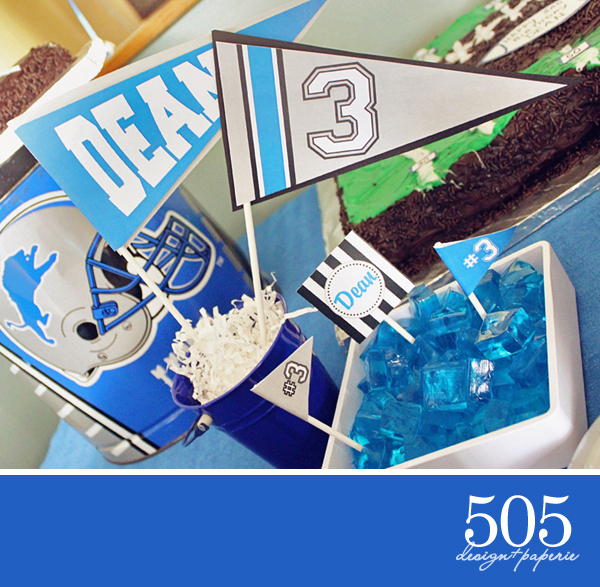 These wonderful football cakes were created by the birthday boys Grammy. One for the party guest and one for my nephew who happens to have an egg allergy. 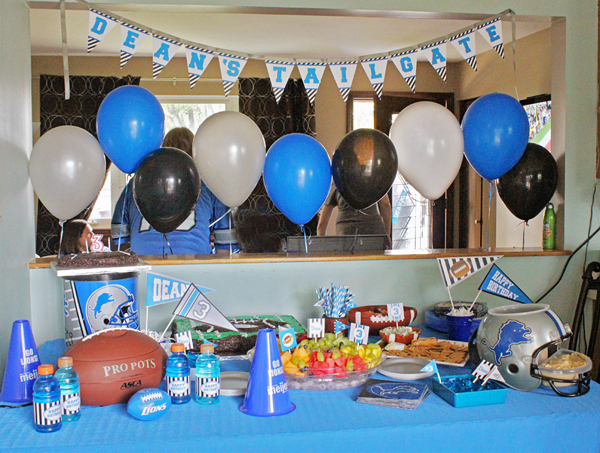 Everyone came dressed for the Big Game and the party went off without a hitch.